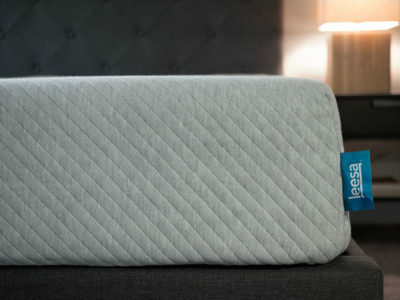 Cocoon By Sealy Mattress Review - Right Fit For You? 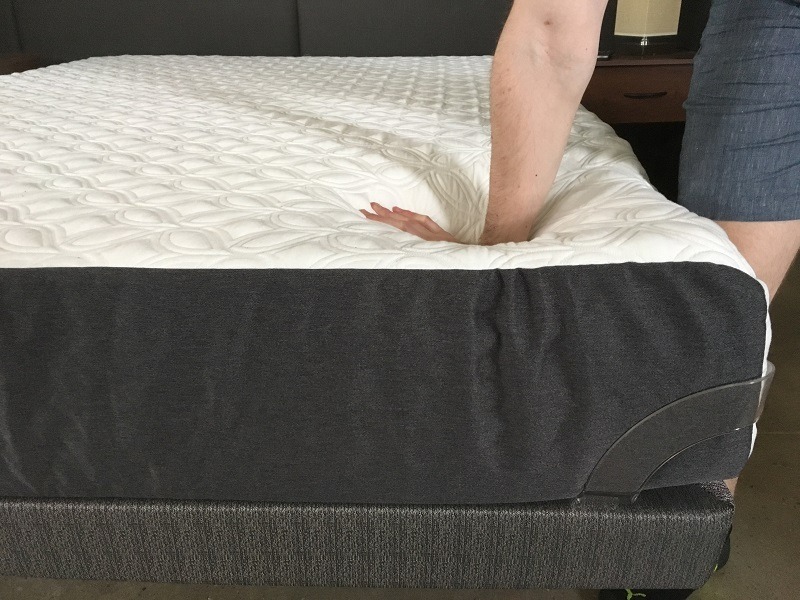 Home » Cocoon By Sealy Mattress Review – Right Fit For You? You may be familiar with the Cocoon mattress because it was picked as one of Oprah’s favorite things in 2016. I was curious to see if I had the same mattress tastes as Oprah, so I decided to give the mattress a try. You have a couple of options with this mattress (which is a good thing in my opinion). 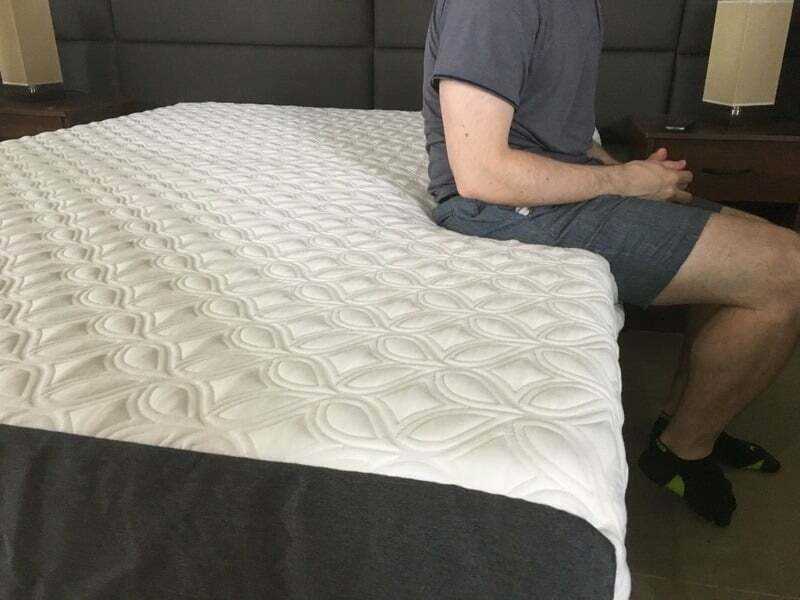 I received the Classic Soft mattress and will be focusing mainly on this version in this review. The Chill version just has a different cover with phase change material that will help you sleep cool but the rest of the mattress is the same. The Firm version has a slightly different construction to give the mattress a firmer feel. The Cocoon by Sealy is a comfortable mattress that is also a great value. You can get $100 off the Cocoon mattress simply by clicking the link below. A Queen mattress weighs 64.4 lbs. That is lower than a lot of the other bed-in-a-box mattresses. A Casper Queen, for example, weighs 83 lbs. That means that the Cocoon uses lower density foams in its construction. This typically means it won’t be as durable as some of the other online-only mattresses. You Are A Light Or Medium Weight Side Sleeper– The mattress is definitely a little bit softer than average. Given this fact and its true memory foam feel, it is an ideal mattress for most side sleepers. It relieves the pressure on your shoulders and hips quite well. Heavier people might want a thicker memory foam layer in my opinion. 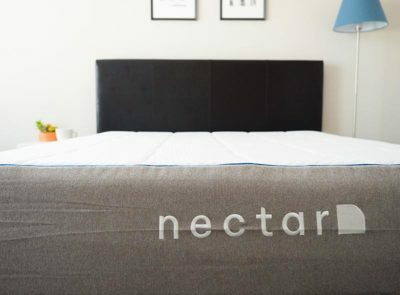 You Sleep With A Partner– This mattress performs very well with motion isolation. That means if your partner moves around the bed, you won’t really be disturbed. You Like Slower-Moving Memory Foam– If you like a classic memory foam feel, then you will be right at home with this mattress. It is slower to respond and allows you to slowly sink into the mattress. The Chill Option Appeals To You– For $150 more, you can get the Chill version of the mattress. This will include a phase-change cover that makes the mattress overall sleep cooler. This can be a good deal if you are sensitive to sleeping hot. You Want A Mattress Slightly Softer Or Firmer– A lot of online mattress companies have just one firmness option. It’s nice to see the two firmness options available with this mattress. This is most helpful who people who know they want something slightly softer or slightly firmer. To know if you are really going to like the mattress, you should really decide whether you like the memory foam feel where you slowly sink into the mattress and it envelops you. This is a personal preference type of thing, so figure out the exact type of feel you like before making a purchase. 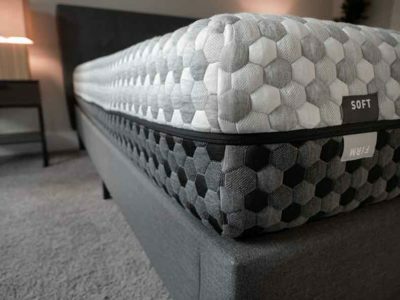 The Cocoon gives you a good opportunity to get a more premium memory foam feel without having to pay thousands of dollars. This mattress is priced very competitively compared to a lot of other memory foam options. You Are Heavier– I think if you are heavier, you will want a thicker comfort layer. I think you would also want higher density foams for longevity purposes if you weigh more. 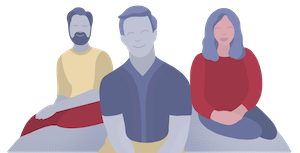 You Want The Mattress For 8+ Years– This is just an educated guess, but the mattress weighs less than other bed-in-a-box offerings. That means they use lower density foams in general, so the mattress probably won’t last as long as some other options. You Want The Resilience Of A Spring Or Latex Mattress– This mattress has a true memory foam feel. It features slower-moving foam. This tends to be simply a personal preference type of thing, so if you want more bounce or just faster responding foam, then you should look at other mattresses. This isn’t an overly luxurious mattress. It allows you to get a nice memory foam feel without having to pay a ton of money to do so. It’s also not going to last 12-15 years like some higher priced mattresses will. It’s a good choice for some people, while not the best choice for others, so make sure you know the type of fell you are looking for and how long you want to have the mattress for before you make a decision. Difference Between Firm And Soft Version? Should You Get The Chill Or Classic Version? The difference between the Chill and Classic version of this mattress comes down to the cover. The Chill cover has phase change material. You can read all about what that means in our blog post here. There is a lot of good science behind the cover, and overall it really just means that you have an extra safeguard against sleeping hot, which is something that a lot of people are sensitive too. If you are extra sensitive to sleeping hot, then I think the extra $150 you have to pay for the Chill version is definitely worth it. One of the biggest complaints about memory foam is that it traps heat, so having the Chill version of this mattress is a great addition. 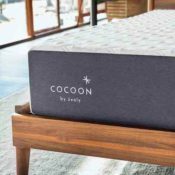 The Cocoon mattress is unique in that it is a bed-in-a-box mattress that comes from one of the main manufacturers and not a startup company. Cocoon is made by Tempur-Sealy. They are the company that makes all the Tempur-Pedic and Sealy mattresses. They are a very established company with lots of brand equity. 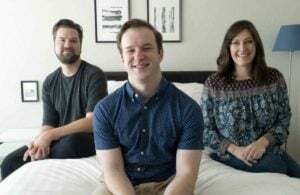 They have taken all of that experience and expertise and have put it into the Cocoon mattress. 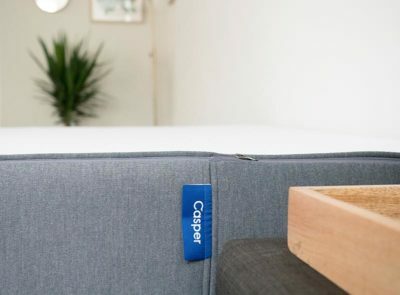 It’s good to know that the company who makes your mattress is in it for the long haul, and that is definitely that case with the Cocoon mattress. If you sleep with a partner, then you should consider how well a mattress performs with motion isolation as part of your overall decision criteria. If you are easily disturbed by your partner moving around in the bed, then you should find a mattress that isolates motion very well. Memory foam mattresses in general do a very good job at isolating motion, so going in I expected the Cocoon mattress to also do quite well. The video below shows that the Cocoon does in fact do an excellent job of isolating motion. This makes it an extra good option for couples who are sensitive to the movement of the partner in bed. The video below shows off the general firmness and feel of the mattress. You can see that I can put my hand pretty far down into the mattress without too much effort. Overall, I would say the mattress is definitely softer then average. For me, the pressure relief was really good for sleeping on my side and how just the right softness to it. I think someone who is heavier might go through the top layer very quickly and then feel the firmness of the transition and base layer. For that reason, I think heavier people may want to look at a different mattress. The mattress also does have a true memory foam feel. You can see that the foam is slower to respond. Is that a good thing? Well, it really comes down to your personal preference. With this Soft version, you get a more “in” the mattress feel where you sink into it and you feel like it envelops you a little bit. A lot of people like the type of feel, while others prefer a more “on” the mattress feel. Again, it really just comes down to your personal preference. Does It Work With An Adjustable Base? There may be some of you out there who have an adjustable base or are thinking about buying one. The video below shows you that the Cocoon works just fine with an adjustable base. I was able to adjust myself into really any position with this mattress without any problems. Some people ask about the edge support of a mattress. Edge support matters the most if you want to use the entire sleeping surface of the bed. This is typically most important when sleeping with a partner. As the picture here shows, the bed doesn’t have particularly good edge support. This is pretty common with all foam mattresses. It’s not too bad, but if you are looking for a mattress with really good edge support, you might want to look elsewhere. The tables below show you that the Cocoon is priced very competitively when compared to some of the other bed-in-a-box options. With a $150 coupon that you can typically get, that makes the prices that much more affordable. The company has really gone to great lengths to make this mattress as affordable as it possibly can be. 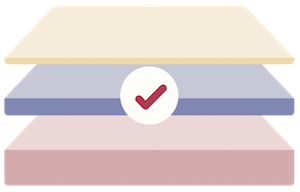 As with pretty much any other foam mattress that is compressed in a box, there will be a slight chemical smell when you unbox the mattress. This is totally normal and has been compared to a “new car smell” by people in the industry. It wasn’t really that bad in my opinion when I first opened up the box and within 48 hours is was basically gone. So, overall I wouldn’t worry at all about there being a chemical smell. This is a solid choice for someone looking to get a nice memory foam feel without having to pay thousands of dollars to do so. I really like that they have firmness options and the chill option is really great because so many of my readers are sensitive to sleeping hot. I think this mattress is probably best for light or medium weight people, but overall it’s a good addition to the bed-in-a-box category. I would run away from this mattress!!! !Horrible customer service and the mattress doesn’t last very long. The mattress came with a rip on the top chill cover exposing the smelly foam and sealy never stood by their word to replace it. In addition, the mattress was cheaply made, after 30 nights the mattress becomes deformed.